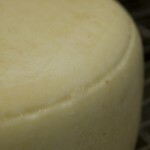 Two transformations are required to make cheese from milk. First the milk is curdled (by the cheese maker) and next the molded curds are made into the cheese. After this second transformation follows what we call affinage in French, the maturation. Freshly formed cheese wheels are placed in our cellars – hâloirs at controlled temperatures under 12°C (53°F). 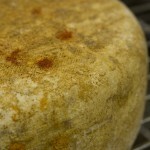 Now the Cellar Master- affineur begins their work. 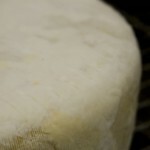 They must turn, wash, and brush each cheese every 7 to 10 days. 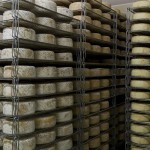 While doing so, they check the quality of each cheese and monitor the aging process employing all five senses. Under this particular attention and care, our cheeses are able to fully develop in complexity: texture, aroma, taste and rind formation. Longer or shorter aging periods in our cellars allow us to produce cheeses with different aromas and flavors. A few of our cheeses develop special red freckles unique to Onetik cellars which we call fromages truités – cheeses with trout speckles. 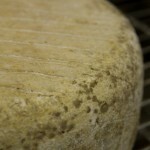 The craft of affineur includes brushing and caring for the cheese wheels throughout their stay in our cellars as they develop in taste and aroma. This means paying attention every single moment and looking out for the first sign of bad behavior. Sometimes we must make small adjustments to the relative humidity and temperature in our cellars. These can vary due to occupancy rate of the cellar, speed of air movement and the behavior of cheeses according to the season. I rely on my experience acquired here at the cheese dairy and on my knowledgeable colleagues. Each day as cheeses leave our cellar and new ones arrive we pursue the same goal: to enhance the quality and bring our cheeses to the pinnacle of perfection. 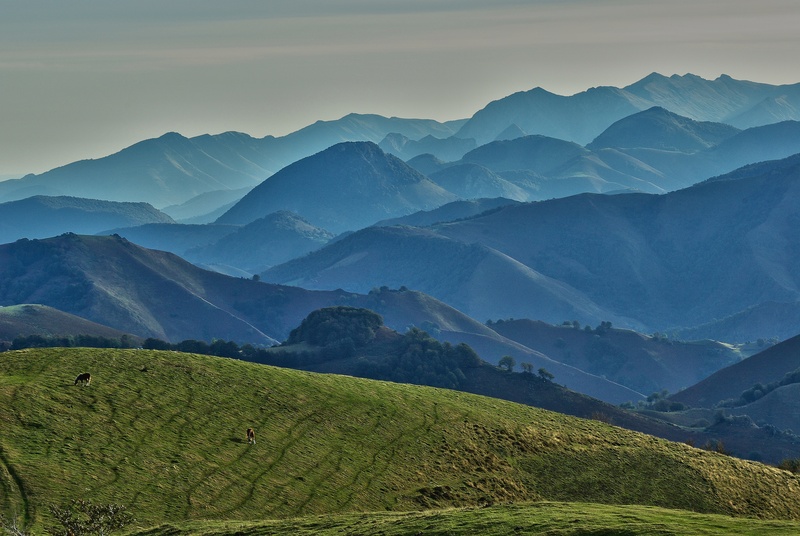 At Onetik, we are proud of our cheeses just as we are proud to be Basque.